Expected symptoms: Minor upset stomach and skin irritation, possible limited vomiting. What to do: Give your child a drink of water to wash the paint down into the stomach. Note: If your child has gotten paint into their eyes, call the Missouri Poison Center now for help on how to rinse the eyes. This information applies to water-based latex and acrylic paint. 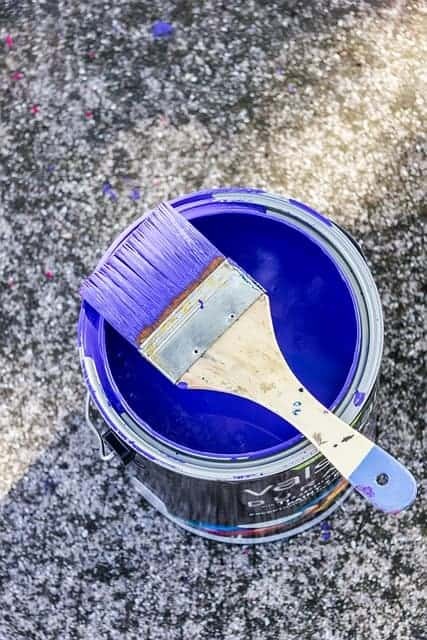 It does not include ceramic paints and glazes, or lead-based paint, which is no longer available but may still be in homes built prior to approximately 1978. Painting a room looks fun to a child with the brightly colored paint, oversized brushes and rollers, and ladders to climb on. They usually find the open paint bucket and dip their hand in, rub it all over, and put some in their mouth. Children also get into the art box of acrylic paint and squeeze it on their hands and into their mouth. In either case, the child usually realizes the paint doesn’t taste as good as it looks. Water-based latex paints are essentially nontoxic, but can be mildly irritating to the skin and stomach. If swallowed, they can cause an upset stomach, but rarely vomiting. Acrylic paints too are essentially nontoxic and symptoms are not likely. If your child has gotten into paint, do not panic. Take the paint away from your child, wipe off any visible product from their hands, and then wash the hands and fingers with soap and water. No harsh chemicals should be used to remove dried paint from the skin. If your child has tasted paint, give them a drink of water to wash it down to the stomach. Eating a small snack can help to decrease the possibility of getting an upset stomach.